Article by Kelly Creighton ©. Posted in Resources (Getting Started). There is a saying that everyone has at least one novel in them. I believe this is true. Ideas are not hard to come by; every day we are bombarded with real-life stories that would make wonderful fiction. There’s just that slight matter of getting the idea in your head down on paper. There may seem to be some kind of magic formula to this, especially when we hear about books that have taken less than a month to write; it sends a message to aspiring writers that it must be easy, or easy for certain authors. We start to look at reasons why it won’t be quite so simple for us. The fact is that everyone has a busy life: career, family, responsibilities – and we don’t even know the half of it! Fiction writing must be one of the only things left in the world that there isn’t a shortcut for, but if anyone finds one, please let me know. Writing a book is bloody tedious work. So why not rip the plaster off quickly? Every November sees people from all over the world write a novel in a month; the challenge is called NaNoWriMo. [We’re giving you plenty of notice if you want to join in! – Ed] You can follow the programme for motivational tips, link in with new pals, do word-sprints, whatever is on offer that you find helpful. Or you may choose to go it alone. When you write fast, the subconscious takes over; you can immerse yourself in your work and power through. You’re less likely to have a plot that is full of holes because you’re right in the middle of it. You’re not trying to remember what you wrote last week, and wasting time with rereading. You don’t have to wait until November either. Once you have your outline you’re good to go. There really are no cons, as far as I can see. Time – You have to schedule. Stop watching that soap opera, it does your head in anyway. 1666 words a day is the goal, this could be done in an hour. Selfishness (I mean this in the nicest possible sense) – You deserve the chance to write your novel. A pen and a notebook – Easy-peasy lemon squeezy. A story to tell – Remember that old saying about everyone having a novel in them? Now, off you go! There are always going to be challenges, and there are always going to be ways around them. Distractions – If you need to put in earplugs or listen to classical music on your headphones, do it. Too tired after work – Get up early and write. Busy family – You’re amazing – never doubt it! – but seriously, your family can spare you for an hour a day. (I’m writing this article in a rainy carpark, waiting for my son to finish footie practice.) Find what works for you. 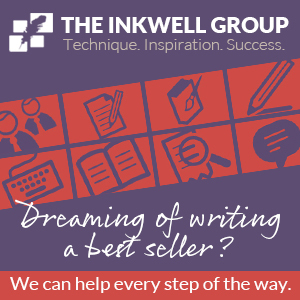 Feeling overwhelmed – Join an online NaNoWriMo group. Also, take a deep breath and let it out. Research – Have your story thought through to begin with. Once you start writing, don’t stop to research anything. Worried it will lose its consistency – This is less likely when you write fast. It will be littered with mistakes – Do you think that all first drafts aren’t? 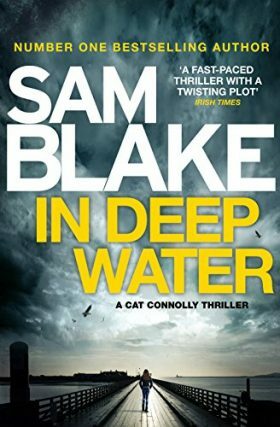 Here are some amazing books written in under a month – be inspired! I finished writing The Bones of It in three weeks. A friend joked that I should start another book. The second one – a novella this time – ended up being my character development for my current novel-in-progress. In writing, nothing is ever a waste of your time. Once you take part in NaNoWriMo, you can apply the skills you’ve learnt to your redrafts, or when writing a short story. (For the poets, there is April’s NaPoWriMo, which is a poem a day challenge.) NaNoWriMo teaches you to focus, and that you can break the back of your book with a bit of dedication. 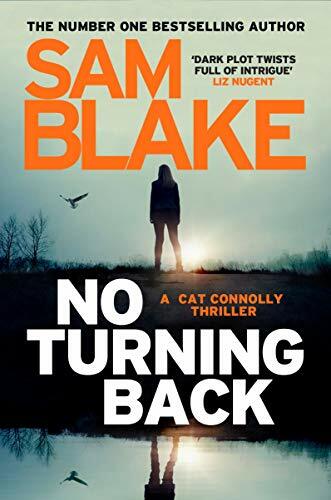 A psychological crime thriller set in present day County Down. Twenty-two-year-old Scott McAuley, son of ex-paramilitary Duke McAuley, pens diary entries. When Scott is ousted from his politics degree course for joyriding, he returns home to live with Duke for the first time in his memory. When Scott was a baby, Duke was imprisoned for the murders of two young Catholic men, and Scott’s grandmother, Isla, became his guardian. Scott finds it difficult living with Duke now, and even more so when he starts getting paranoid that Duke is secretly seeing his ex-girlfriend. 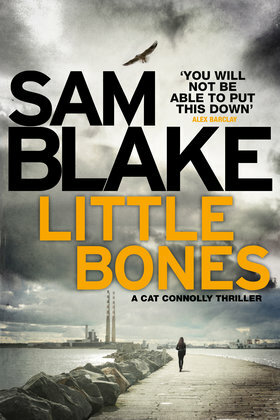 The Bones of It is in bookshops or pick up your copy online here! 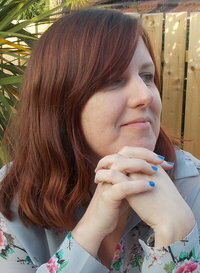 For more info on NaNoWriMo or writing your book in a month, check out Alison Wells article, Ten Ways to Ace Nanowrimo. 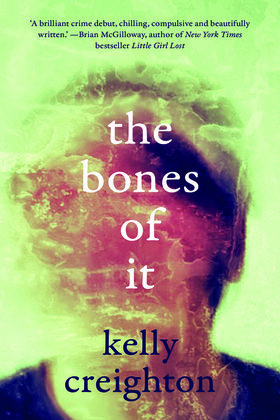 Kelly Creighton is the author of The Bones of It (Liberties Press) and Three Primes (Lapwing Publications). 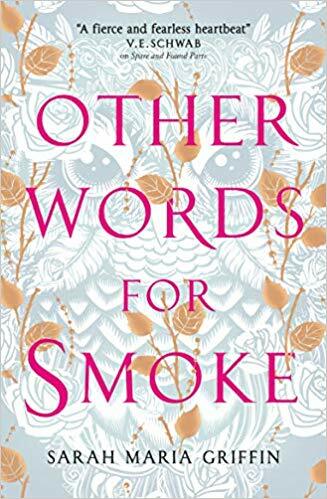 Her work was runner-up for the Michael McLaverty Award, and shortlisted for the inaugural Seamus Heaney Award for New Writing, the Fish Short Story Prize and the Cuirt New Writing Prize for fiction. Kelly edits The Incubator literary journal.